This information is additional to what you can see on the permaculture design course page. 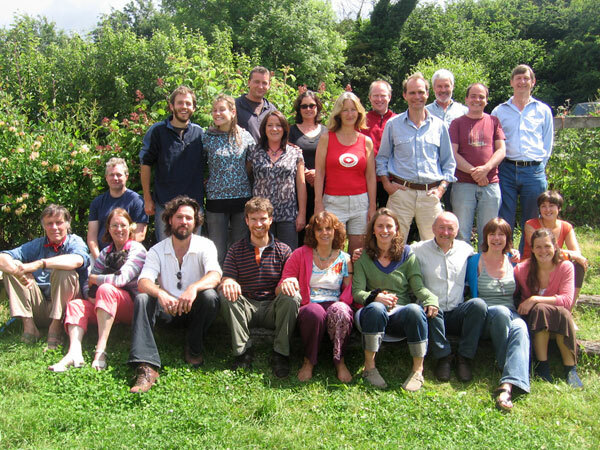 The Design Course is the classic permaculture course. It focuses on skills we can put into action in our own lives, in both town and country. It also looks at permaculture in its wider context, as a way of putting many diverse green ideas into a coherent whole. 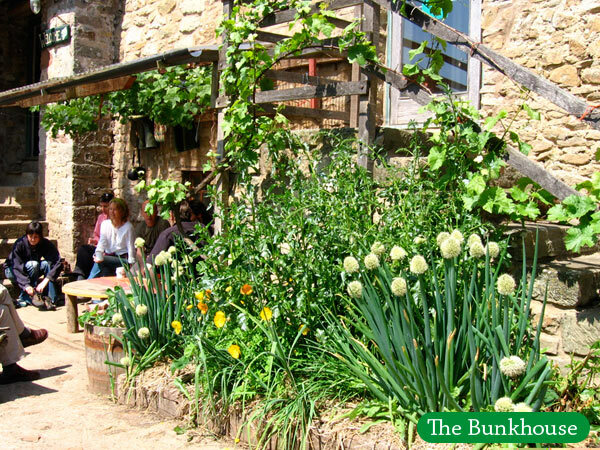 It’s suitable both for beginners and for those in relevant professions – gardeners, farmers, landscape designers, foresters, architects etc – who want to add a permaculture perspective to their skills. A wide range of teaching methods is used, including talks, slide shows, discussions and exercises, both indoor and outdoor. The main focus of the course is a series of design exercises on the land. Participants can choose between a domestic garden or a smallholding for their permaculture design project. We make full use of the farm as a teaching resource, with outdoor sessions every day. The example timetable below shows the full range of subjects covered. The course will start at 2pm on Monday 15th July 2019. Students may arrive at the farm from midday onwards, but please be aware that we are unable to provide lunch on the opening day. Please see below for a sample of the timetable. The course will finish by 11am on Sunday 28th. Sunday 21st and Monday 22nd will be days off. Students are welcome to stay on site or head away for those two days as they like – food will be available to those who stay. The nearest train station is Gloucester where you can either get a taxi (we will encourage students to meet up and share taxis) or catch a bus to Ruardean, the closest village to the farm. More details will be sent out on booking. There’s a range of optional evening activities, including film shows, campfires and a hot tub. There are two days off in the middle of the course and there is plenty to do in the beautiful Wye Valley and Forest of Dean, including woodland walks and canoeing on the River Wye. 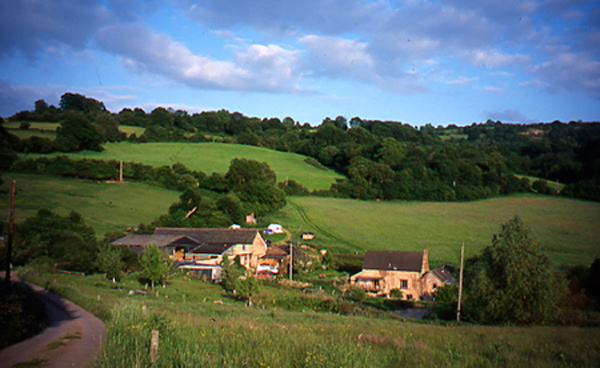 Ragmans Lane Farm is situated in beautiful countryside in the Forest of Dean, Gloucestershire, on the banks of the River Wye. The farm has been host to a wide diversity of activities in its 25 years as a permaculture venue.In recent years this has been narrowed down to just three enterprises. One is mushroom log production – inoculating logs with the spawn of shitake and oyster mushrooms and selling the logs as a source of fresh organic mushrooms. The other is organic apple juice production, and part of the farm has been planted up with orchards to supply the apples. There is a vegetable garden, presently run by a market garden group, which also supplies vegetables to the courses. The rest of the farm is let out to neighbours for grazing. The farm is also the home of the Willow Bank, which supplies a wide range of willow varieties and installs living willow structures. Many of these can be seen around the farm. In addition, there is an interesting range of ecological building styles on the farm, and there is both mature and newly planted woodland. This is in the bunkhouse, a converted stone barn with many ecological features. Accommodation is basic and there is only one individual or double room (allocated according to need but inevitably first come first served), but if you want privacy you are welcome to camp. 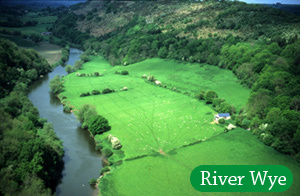 The camping site, with beautiful views of the local landscape, is right beside the bunkhouse. Campers have full use of the bunkhouse facilities and there is no reduction in charge for camping. Full vegetarian board is provided. The great majority of the food is organic and sourced as locally as possible – including fruit and vegetables from the farm itself. We pride ourselves on the wonderful, healthy, tasty, seasonal, fresh and local meals we offer to participants and we hope you enjoy being catered for while you are with us. If you are a meat-eater and have concerns about 2 weeks without meat, you are welcome to bring your own cooked meats for lunches, and we have a few great pubs within walking distance too! If you have special dietary needs we will do our best to cater for those, but please be aware that our budget does not stretch to rare and expensive ingredients and we aim to avoid exotic, imported and out-of season foods where possible. If you do need these kinds of food, we can discuss an arrangement whereby you pay an additional contribution to food, or partially self-cater. Another consideration for us is making sure the course cook is able to manage the complexity of different dietary needs, so we ask that participants are realistic in their requests and willing to be flexible if possible. Due to an increase in special dietary needs in recent years we have had to set some parameters in order to keep things manageable and affordable. If you’re unable to pay the full fees our first suggestion is that you look for funding. Below is a list of organisations which have given funding to people on our courses in the past. Gives grants for training to young people up to 25 years. Although these are normally limited to £500 we have had one student funded for the full cost of the Sustainable Land Use course. Gives grants to projects that help support the people who care for the countryside, including grants for training. Provides funding for “people with vision, drive, commitment and passion who want to change the world for the better.” This is interpreted quite widely. Funds courses for individuals who have financial difficulties. Gives grants to people under 25, which have included grants for permaculture courses. Information on grants and bursaries available from organisations in the United Kingdom for horticultural projects, exchanges and travel. From time to time either the national organisation or regional and local branches give grants for training. If you’re unemployed and claiming Job Seeker’s Allowance it’s worth asking at your Job Centre whether they can fund you. The Permaculture Association (Britain) is registered as a supplier on ProcServe, which is used by the Department for Work and Pensions, ie Job Centres, to buy things. Our courses are certified by the Permaculture Association, so if there is any funding for courses available it should be possible to access it. In Wales you should contact ReAct. If you’re unable to find funding but would be able to pay by instalments please contact us. We will be happy to arrange a payment programme with you, including payments both before and after the course. If neither of the above are suitable for you we are able to offer some concessionary places. We have a regular concessionary rate of £600. If you would like to apply for a concession please email us with a account of your circumstances. Please bear in mind that we can only offer a limited number of concessions to ensure we meet our running costs.